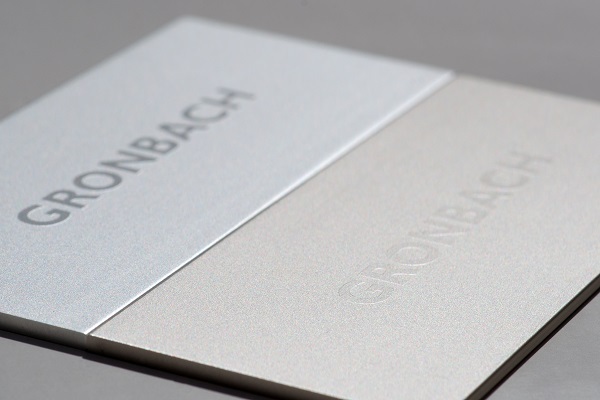 GRONBACH offers you a variety of processes for branding and customizing your products. Whether operating functions on device covers, type plates or metallic advertising prints – for every application we produce haptic or 3D prints using under-anodised printing, screen and pad printing, laser engraving, back-moulding with plastic and various etching techniques. With the most modern digital printing technology with four or six colours, sophisticated designs in stainless steel as well as in aluminium are possible. Using our plastic hybrid technology, we also join metals to plastics by back injection, in order to enable material-locking connections with a high degree of design freedom. Thanks to our special printing processes for metal coatings, you can give your products or individual components a particularly valuable appearance. With sub-eloxal printing, the ink is printed into the uncompressed, open-pored aluminium and is thus incorporated into the structure of the aluminium. In this way, the paint particles are permanently sealed and the component is protected against grease and solvents. In addition, anodized surfaces offer a high level of protection against mechanical damage, such as scratches. Our etching technology enables a haptic or 3D logo made of the same alloy as the carrier material. In the anodising process, defined areas can be removed to a greater extent and thus a three-dimensional design can also be realised in different colours and with matt or glossy effects. Screen printing, pad printing and UV printing can be used to create a wide variety of printing solutions for metal, e.g. 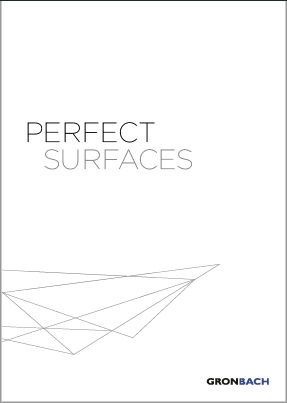 surface finishes for vehicle interior parts from the automotive sector (door entry sills, fitting components), but also decorative foils, inscriptions and symbols for fronts and housing parts in the kitchen sector. This special UV printing process was developed by us to meet the high requirements of the cross-cut and Ericson pen test and to guarantee long-term use. We can also print directly onto the base material using digital printing technology with four or six colours. 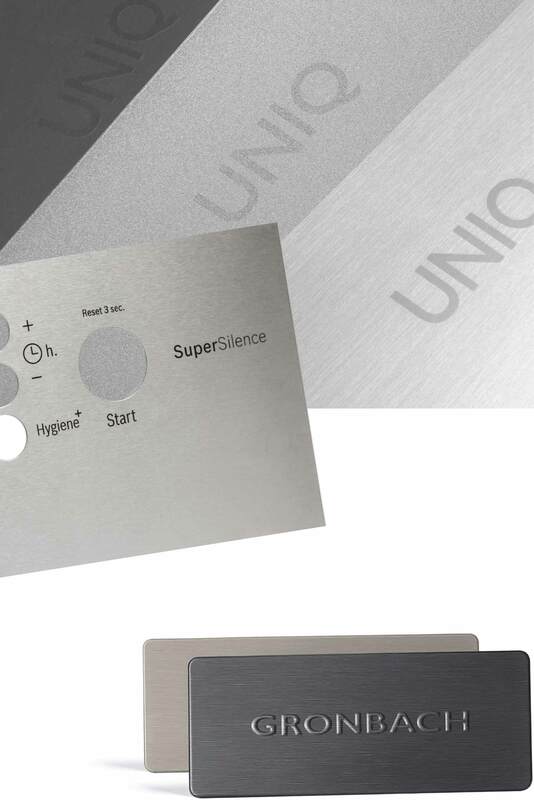 The marking of surfaces with the help of a laser is the most modern technology for sophisticated lettering on stainless steel or aluminium. It is ideal for the visual display of operating functions on device panels or other surfaces. Laser marking or laser engraving is carried out by removing layers of material until the desired contour, font or symbols are achieved. Our hybrid process developed in-house also offers outstanding solutions for labelling. This allows perfect metal-plastic composites, which are applied via a special bonding agent, to be realized with individual surfaces. 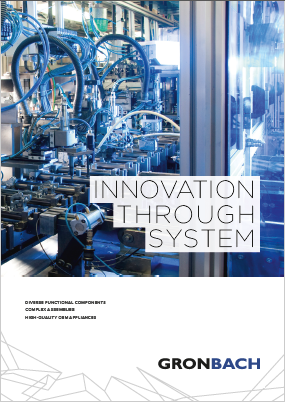 As a service provider or system supplier for OEM devices, components, complex assemblies and composite components made of metals and plastics, we are your supplier for individual solutions. We realize surface refinements made of stainless steel or aluminium by means of metal printing, laser engraving, 3D printing and surface refinement both in small series and in large series and are at your disposal for questions regarding our production technologies and as a manufacturer of OEM devices. Please note: We can also put coloured structures into the surface for you, even when the support material has a totally different colour. And all in one piece. Please feel free to contact us about your project. Additional information on our printing processes, surface coatings, technical services and our corporate network can be found in our brochures, which you can order free of charge. In addition, our competent staff will be happy to answer any further questions you may have.